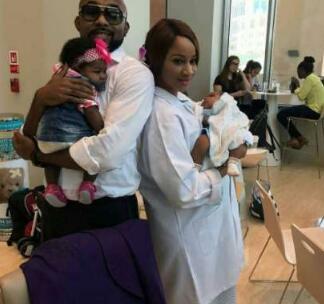 It's no longer news that music singer Banky W and actress Adesua Etomi are engaged. The 'Made for you' singer broke the news on Instagram, May 3, 2017. The duo are still spreading the love bug on social media. 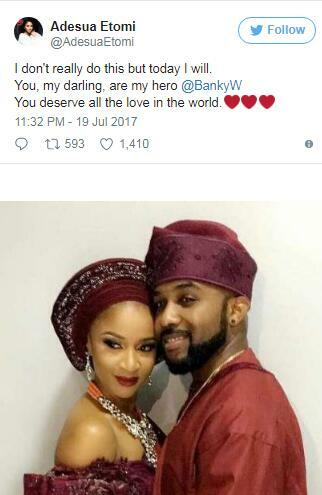 Actress Adesua Etomi took to Twitter on July 19, 2017, to celebrate her hero. "I don't really do this but today I will. 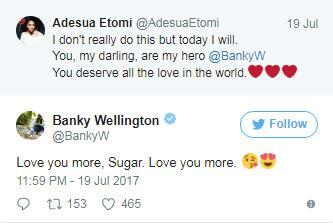 You, my darling, are my hero @BankyW . You deserve all the love in the world," she tweeted.